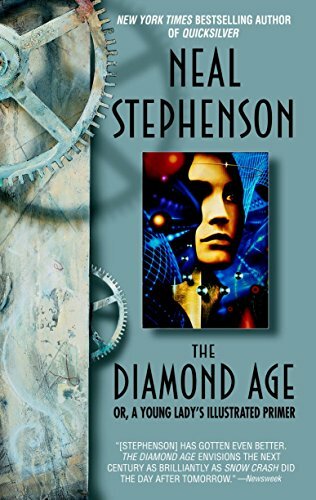 The Diamond Age by Neal Stephenson inspects some interesting topics in nano-technology, tribal societies, and in many ways is a spiritual successor to Snow Crash in that the general structure of the world is similar. Personally I enjoyed the portion of the book about the Young Lady’s Illustrated Primer and Nell, which explores what can happen when an underprivileged individual comes into contact with a technology built around educating and raising children to be strong individuals. The book sort of becomes a little stale towards the end, the Seed is an interesting technology, but never quite makes sense and the Drummers and the story that unfolds around them, The Fists of Righteous Harmony, and John Hackworth (the inventor of the Primer) feels somewhat forced. Like many other Stephenson books, the ending leaves you wanting more, but the world he has constructed is interesting enough to satisfy. Think of the book more as a thought experiment in how tribal societies interact, nano-technology, and a series of other concepts rather than a concrete story and it will be an enjoyable ride.